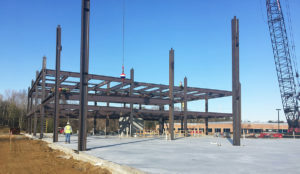 The steel begins rising for a five-story office building at 187 Harry S. Truman Pkwy. in Annapolis, a 130,000-square-foot building being developed by St. John Properties. St. John Properties, a Baltimore-based real estate development and management company, has begun 2018 in the midst of a speculative building spree. 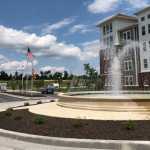 The company announced Wednesday that it’s started construction on eight new buildings, three in Anne Arundel County and five in the Greenleigh at Crossroads community in Baltimore County’s Middle River. The developer said it is investing $51 million in the projects, which add up to about 500,000 square feet of office and retail space being built without a tenant already signed. 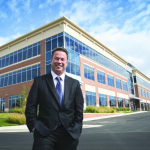 In Anne Arundel, the buildings include a five-story, 130,000-square-foot office building at 187 Harry S. Truman Parkway in Annapolis Corporate Park; a four-story, 120,000-square-foot office building on Nursery Road in BWI Technology Park III in Linthicum Heights; and a single-story, 34,500-square-foot flex building on Pinnacle Drive in BWI Technology Park II. 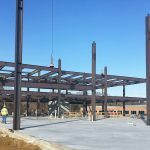 In Baltimore County, St. John is building a four-story, 100,000-square-foot office building; two single-story, 36,000-square-foot office buildings; and two roughly 14,000-square-foot retail buildings in Greenleigh at Crossroads. St. John is building out the mixed-use project with Somerset Construction Co. and Elm Street Development. The 1,000-acre project’s plans includes 1,900 residential units; more than 1.76 million square feet of commercial space and retail amenities; and a 120-room hotel. The buildings are to be completed between spring 2018 through mid-2019. 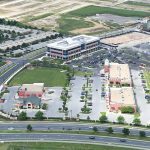 “Given the sustainable leasing activity that we continue to achieve throughout the Maryland region, coupled with our favorable long-term view of the local economy, job growth and expansion of businesses, we are proceeding with this speculative development program with complete confidence,” said Richard Williamson, St. John’s senior vice president of leasing and marketing, in a statement.